Otley Sailing Club was formed in 1958 by a group of residents from Horsforth, Shipley and Baildon who wanted to sail on Wednesday afternoons. They originally sailed together at Knotford Nook lake (photo to left), located about a mile east from Otley on the A659 Pool Road. Originally known as the Knotford Nook Sailing Club, the name was changed to Otley Sailing Club in 1966. 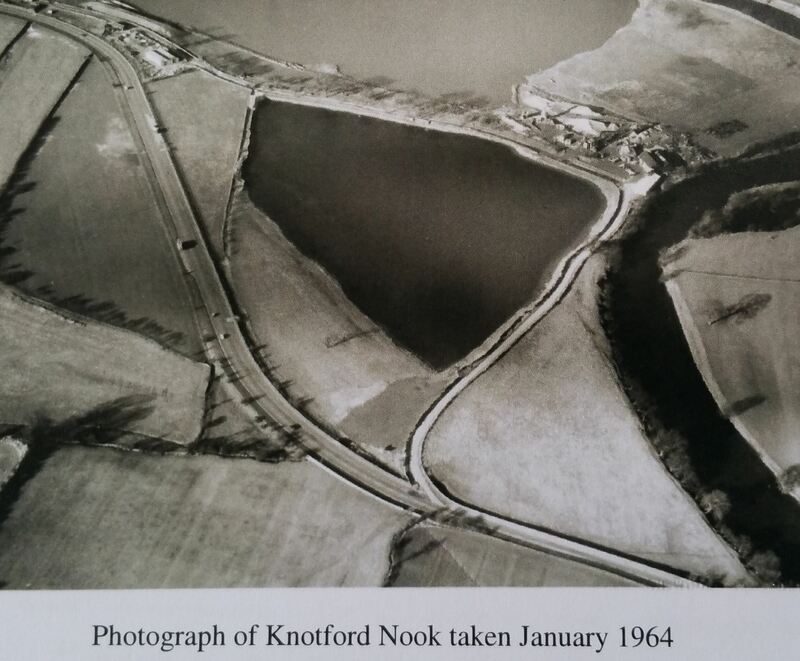 Ten years later in 1976, and with no possibility of expansion at Knotford Nook, it was decided to relocate the Club to its present location on Weston Water. This was a much larger body of water, 27 acres (or 11 hectares) in size with an average depth of 6 metres. It was essentially a water-filled gravel quarry pit that had been worked on by Amey Roadstone Corporation (ARC). After all preparations were completed for the move, the Club was officially opened at its current site on 14 May 1978. Out current Clubhouse was built by our own members and opened in July 1986 (photo to right). Around this time, the Club began to develop more into a family based one, and the lake was also opened up to open water swimming clubs and triathletes. By the late 1980s, members began to discuss the idea of developing sailing facilities for disabled people. 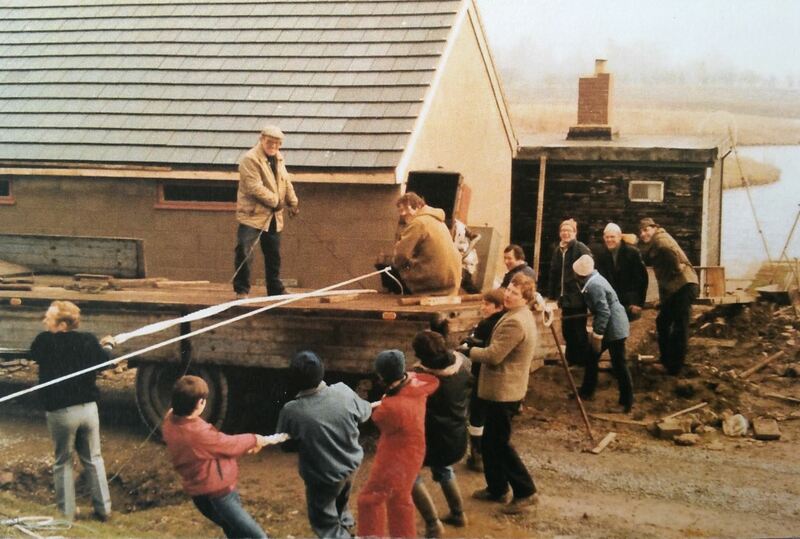 This led to the creation of the 'Sail Free' programme at Otley Sailing Club in the early 1990s. 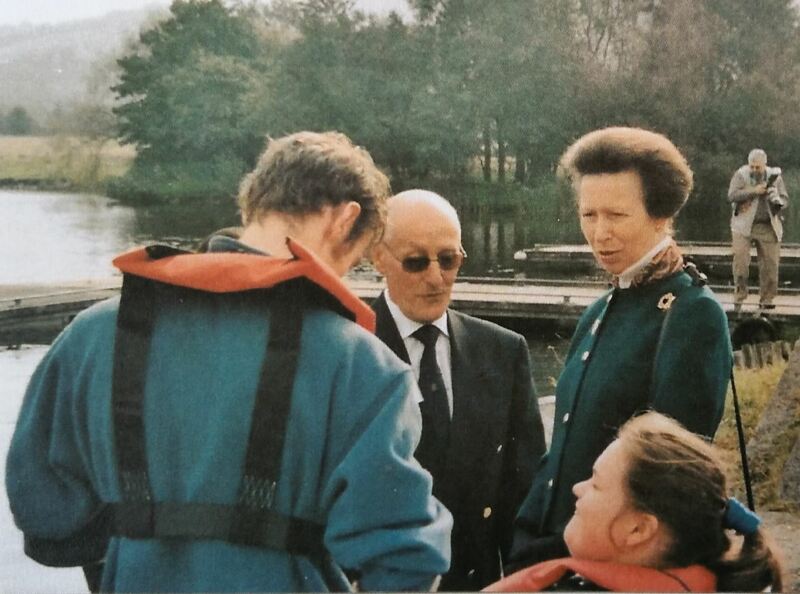 In September 2006, HRH Princess Anne visited to Club (photo to left) to officially launch it latest addition to the Sail Free dinghy fleet, named SD Princess. We currently have eight boats in this fleet. More details about Sail Free can be found elsewhere on our website. 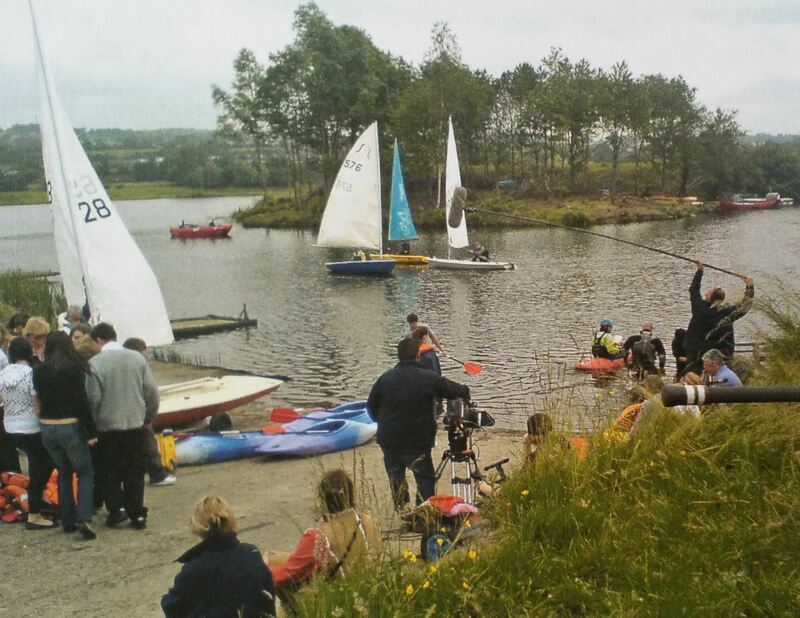 Over the years, our Club site has been used for film and television locations, including Emmerdale (photo to right). Double Olympic medal winners, Alistair and Jonny Brownlee, are among the national elite triathletes who still train down the Club. We have endured couple of major floods over the years and other challenges but Otley Sailing Club is still going strong and our membership to continues to expand. We aim to be here for many years and decades to come!